human right, even when we are on the move. Studio Aubergine is a collaborative effort of passionate industrial designers from sunny Singapore. The Aubergine Pillow affords you the comfort you hunger for, on-demand. 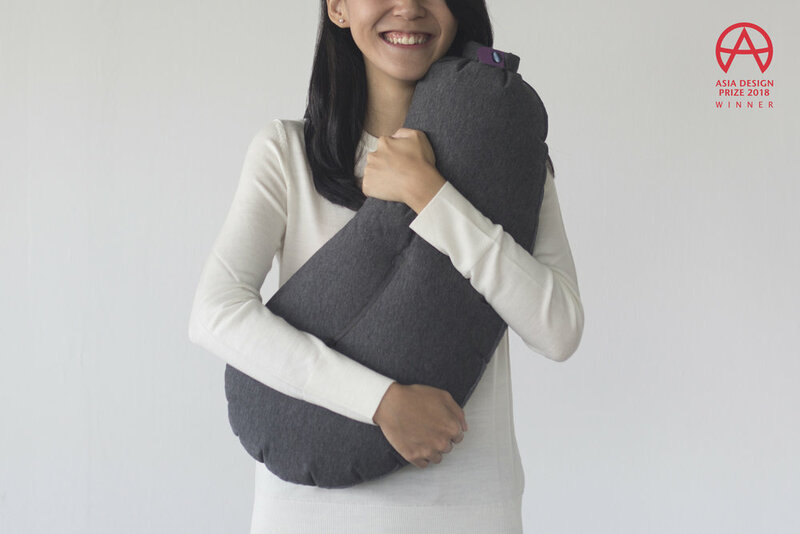 It is an inflatable pillow that plumps up generously in one puff, yet compacts small to be brought along with you.